For more than 60 years, Vieques, Puerto Rico was used for weapons testing and military exercises by U.S. and Allied Forces. 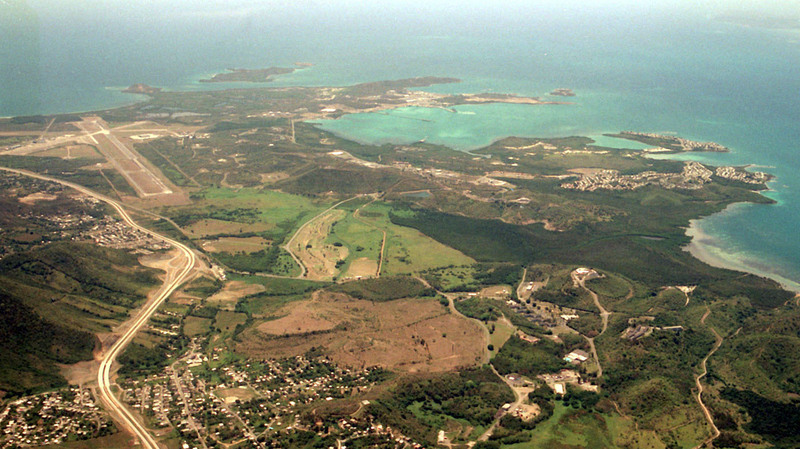 Although there has been a cession of bombing (2000) and the declaration of Vieques as a Super-Fund Site (2002), long-term residents on Vieques still suffer significantly elevated cancer rates. There is also gathering evidence that epigenetic diseases in younger residents on the island may relate to toxins released on the island during former military exercises. Most recently, while Hurricanes Maria and Irma removed vegetation, making it easier to find unexploded ordnance for clean-up, the current practice of open-pit burning of this UXO may simply be adding to multi-generational disease burdens. Dr. James W. Porter is the Josiah Meigs Professor of Ecology, Emeritus at the University of Georgia. Dr. Porter has testified before Congress five times. His film, Chasing Coral (which will be shown at the New England Aquarium also on September 20 at 7:00PM), won first place at the 2017 Sundance Film Festival, received a 2017 Peabody Award, and was recently nominated for three Emmy Awards.